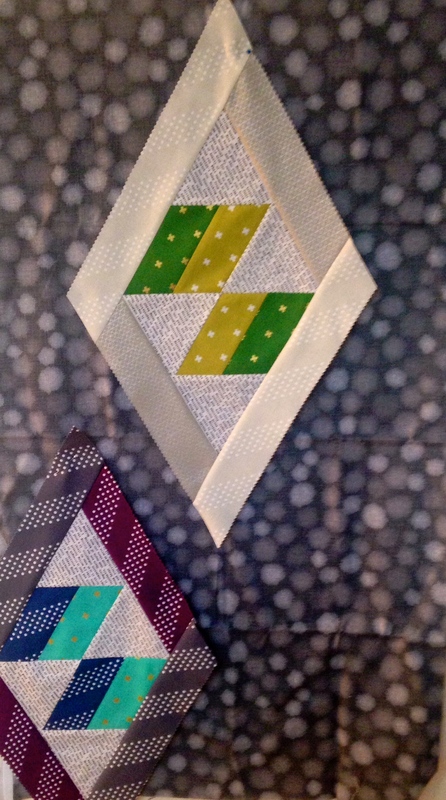 So why are we as quilters so in love with shapes and colors? 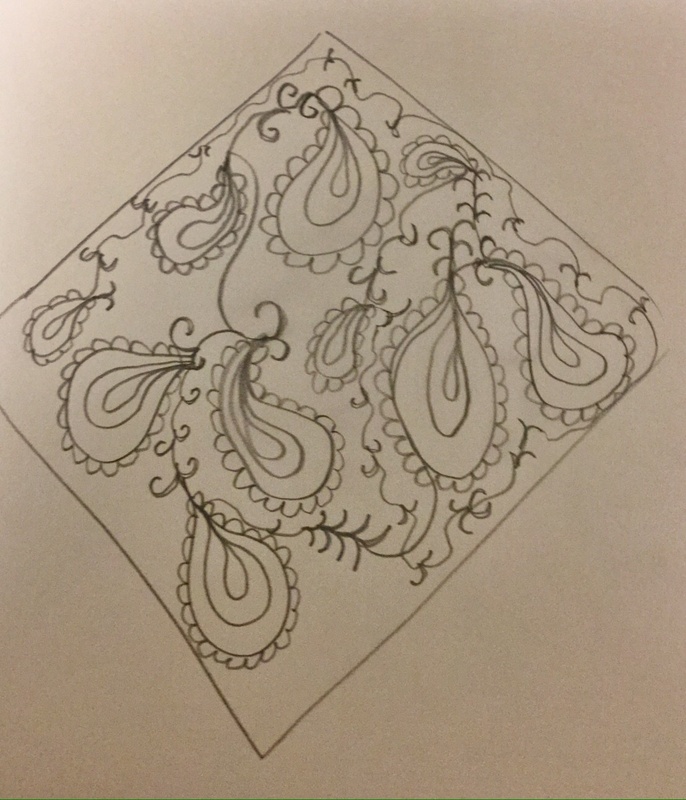 I find it interesting that there are so many variables…Whether it’s the dark/light combo,whether it’s simply texture of pattern in the fabrics, or sometimes the scale of the print.These are all concepts in our design choices that can really make a quilt have its individual voice, yours and mine. 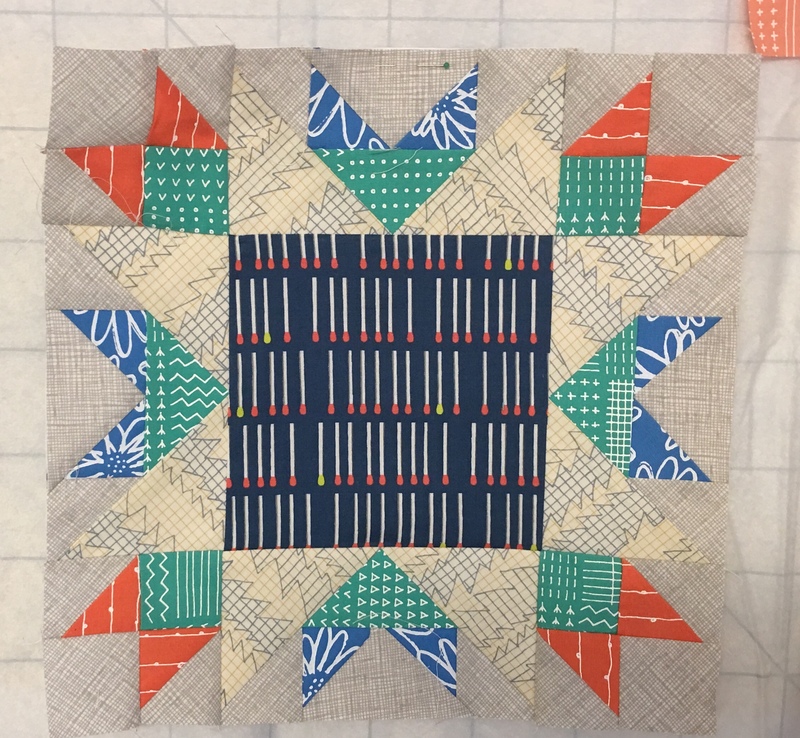 In looking at quilts from the past I like to wonder why the quilter put so much thought into their sophisticated colors and shapes. 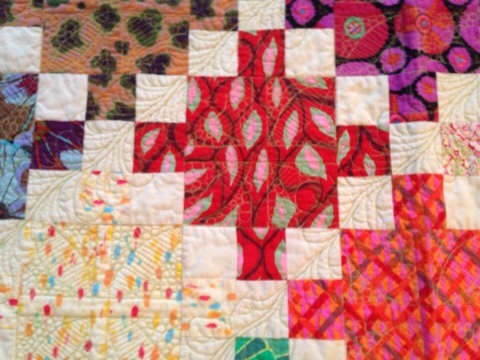 They made thousands of blocks we can all find throughout the history of quilts, isn’t that pretty remarkable? 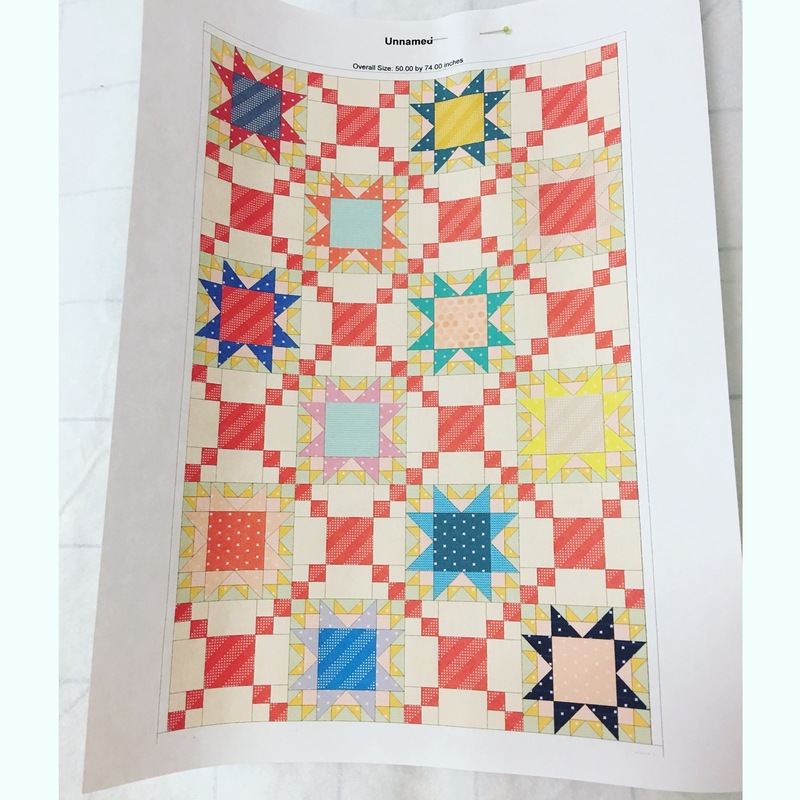 When you think of it 100 years ago and more these quilters were as involved as we all are today.They didn’t have the quick technology we have, we all can connect through our blogs, instagram and such.They didn’t have that resource . 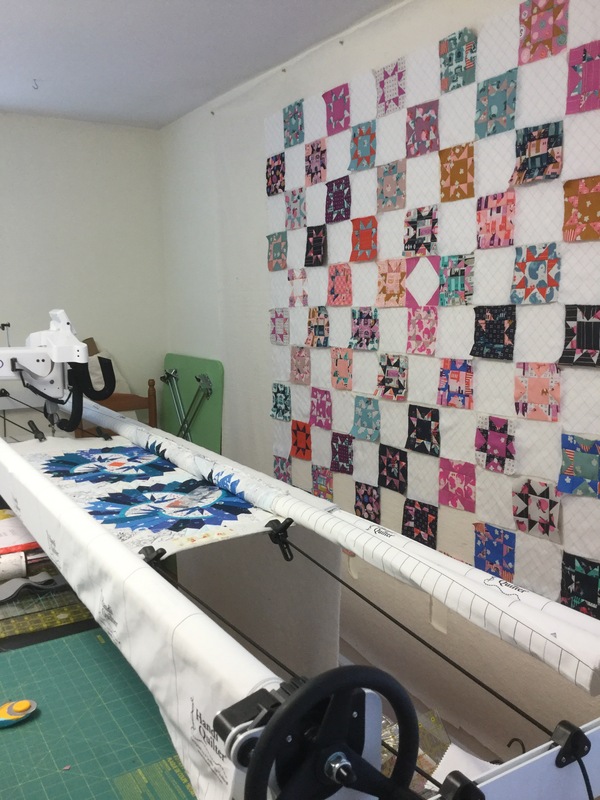 We consider ourselves as Modern Quilters, yet they were at their time Modern as well.Now, we are able to look at those quilts, reflect and adapt and modify in a relevant way. 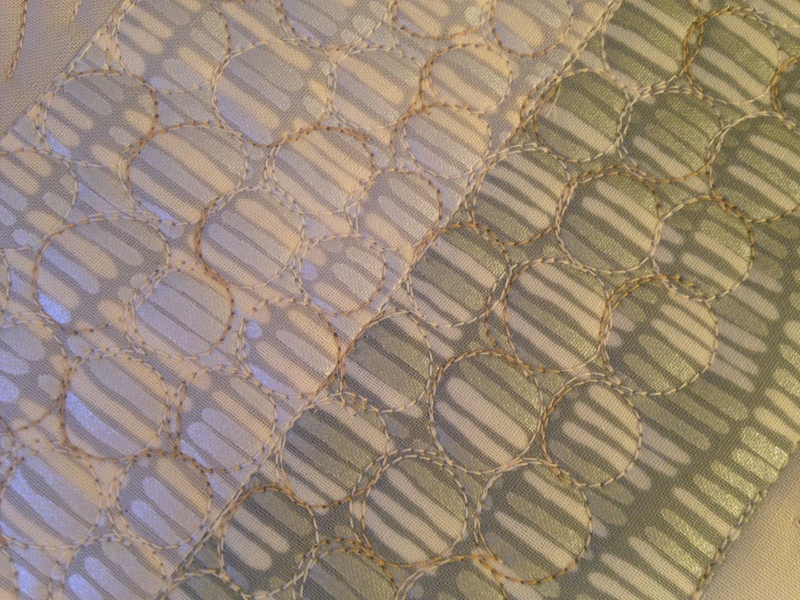 Here’s an Irish Chain quilt I had made, based on the traditional formula, pattern. 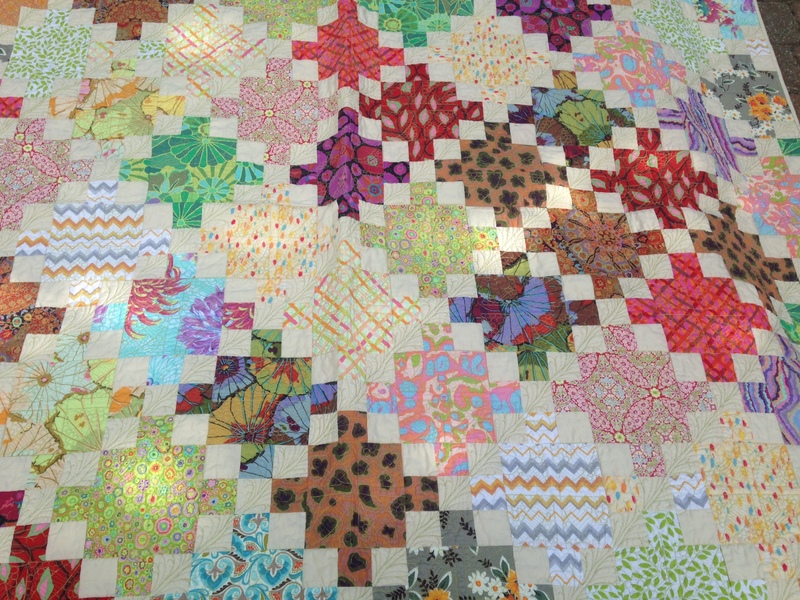 The above photo is a magnification of an area in the quilt, once it’s separated from the context of the tradition, it becomes fresh and modern. So now we are able to look back and reflect ,carry on and re-make. Ideas that spring out of these traditions are our journals of what’s Modern today. 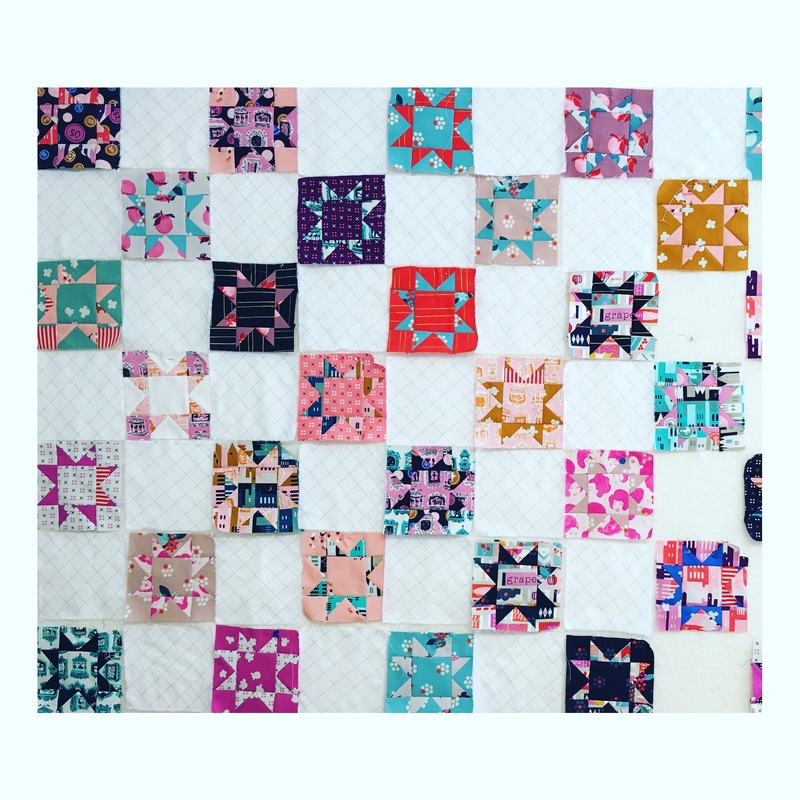 In 100 years these Modern Quilts will be a resource for other quilters, So, as you are in process , you are also creating your own journal.Hope this concept can inspire you and the way you see quilts around us all! 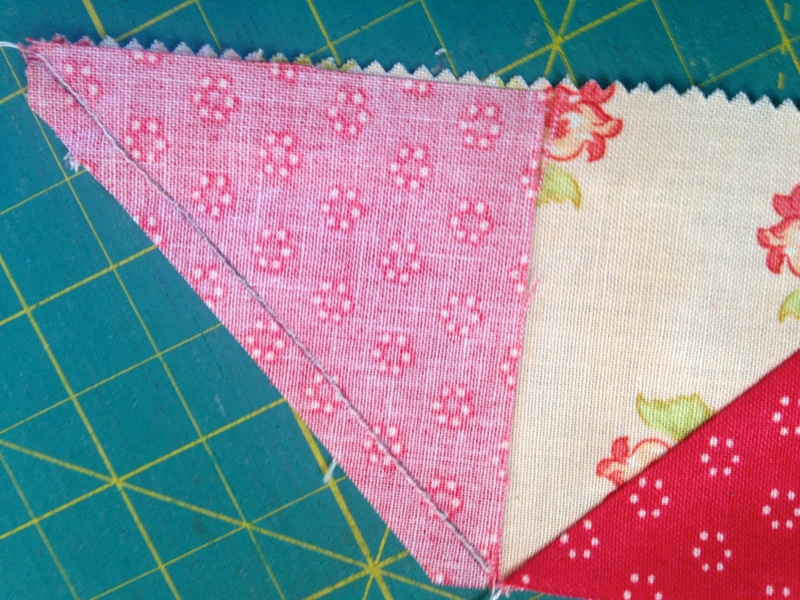 Hi everyone!Today I’m in the process of making a few decisions on my next quilt. 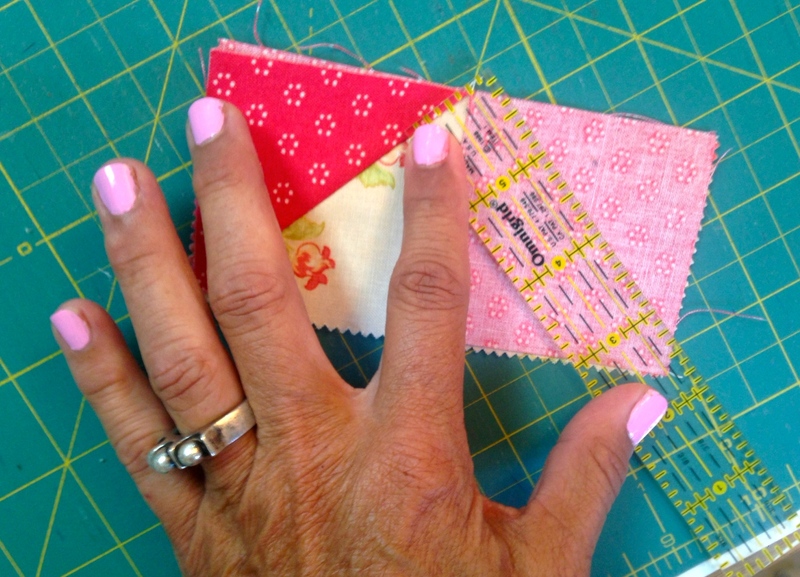 As you all have read in one of my prior blog posts I am using Jaybird Quilts Sidekick ruler along with my favorite Cotton and Steel Basics jellyroll.I have some typed words fabric from Allison Glass. So, love,love these altogether at this point . I found some beautiful fabric in my stash that I have been hoarding. It’s the monochrome that you see in the above photo. 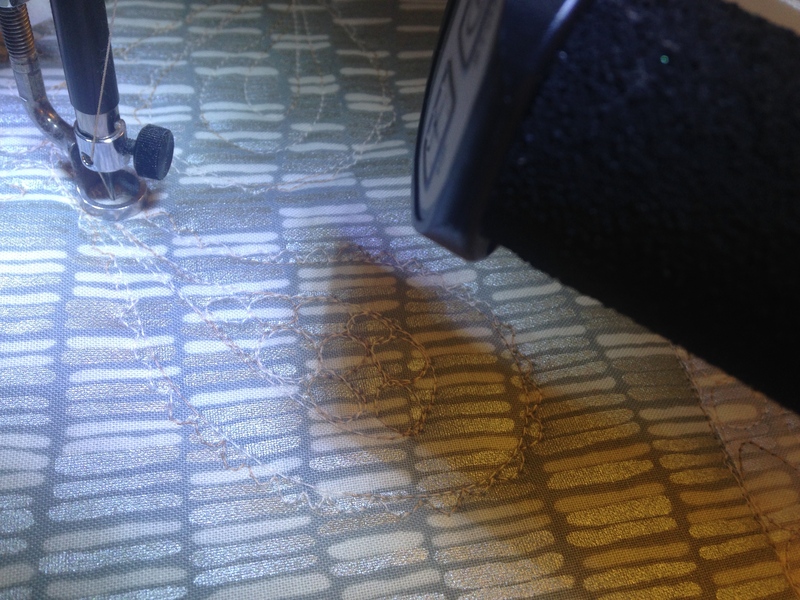 What you see there is me just taking a couple of my diamonds and plunking them on top of this fabric(Robert Kaufman’s Quilters Linen Dots).I wish I had bought more of this fabric at the time! 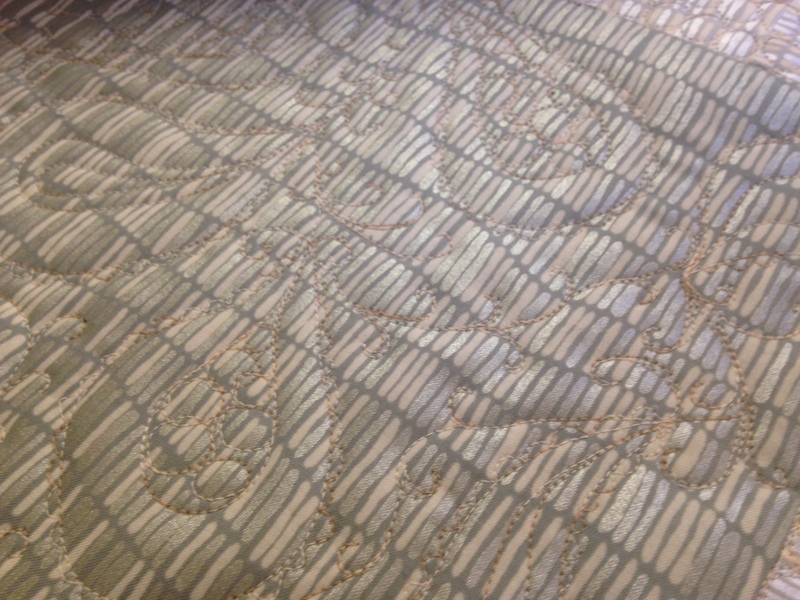 Well, it has driven me into motion, I am thinking that I will mix this fabric with some of the other beautiful graphic fabrics that are out there now. I’m still not exactly sure where this is all going, I need to keep looking at it all. 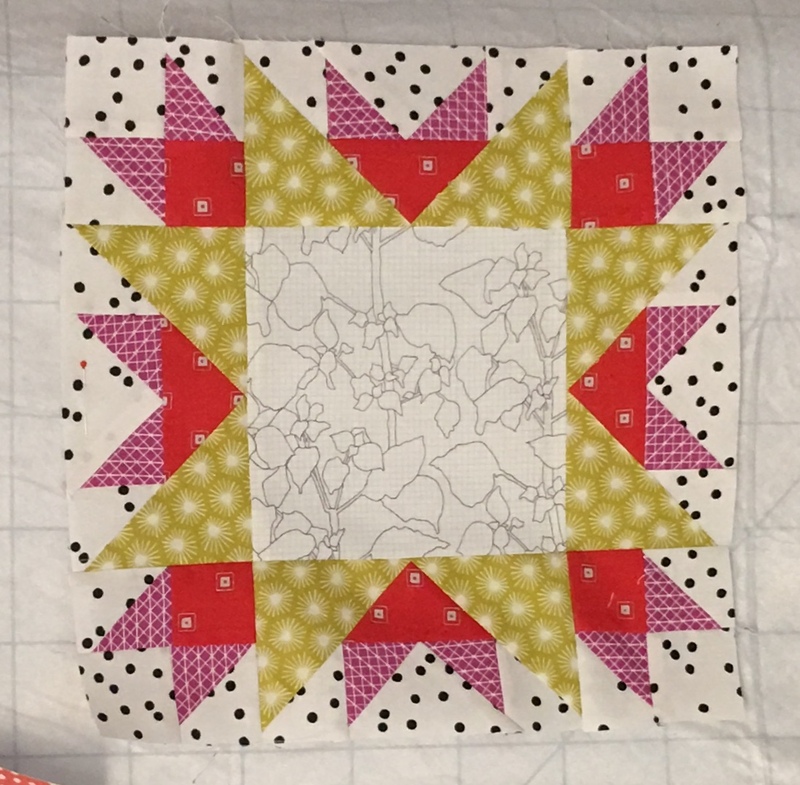 But, I plan to keep making the diamonds and using a variety of colors in my jelly roll and while in process I can see how it all goes. 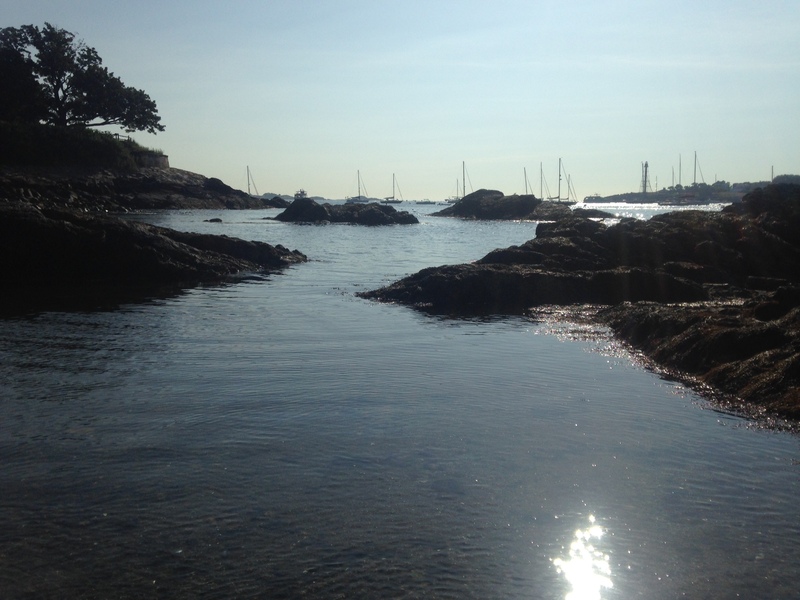 The weather here is still very beautiful and I am hoping we can keep this summer time heat a while longer, I still go out on my bike in the morning and have coffee along the water. It’s so calming to sit there . Soon it will get very cold and this will be a mere memory until next summer! Hi everyone,another day another blog! As you’ve probably guessed I am really into this blogging. I find it so much fun to get my thoughts down and communicate with you all out there. Today I thought that I would write another very simple tutorial on another favorite of mine, the flying geese.I like to make them in a very basic way, though there are other ways that I will only briefly mention in this tutorial, but another day I can get into it further. 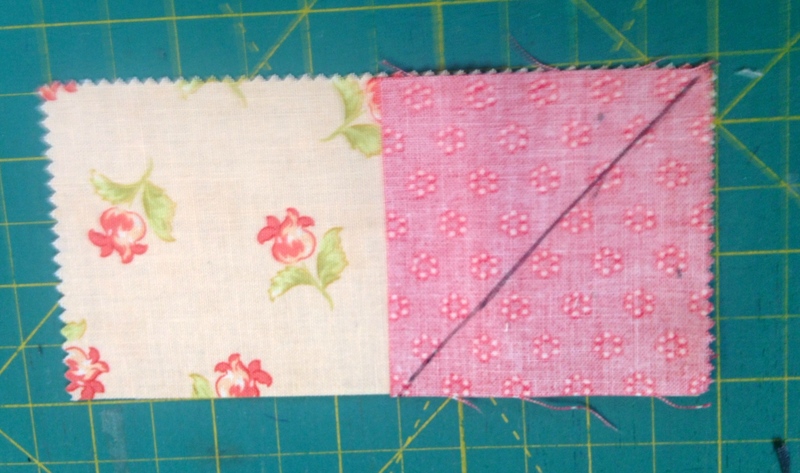 We are all infatuated with jelly rolls these days, and the 2 1/2″ strips are very cool, so I am using 2 1/2″ as my measurement here, but really any size will do.I’ve cut 1 piece 2 1/2’x5″ and two pieces are cut into 2 1/2″ squares. 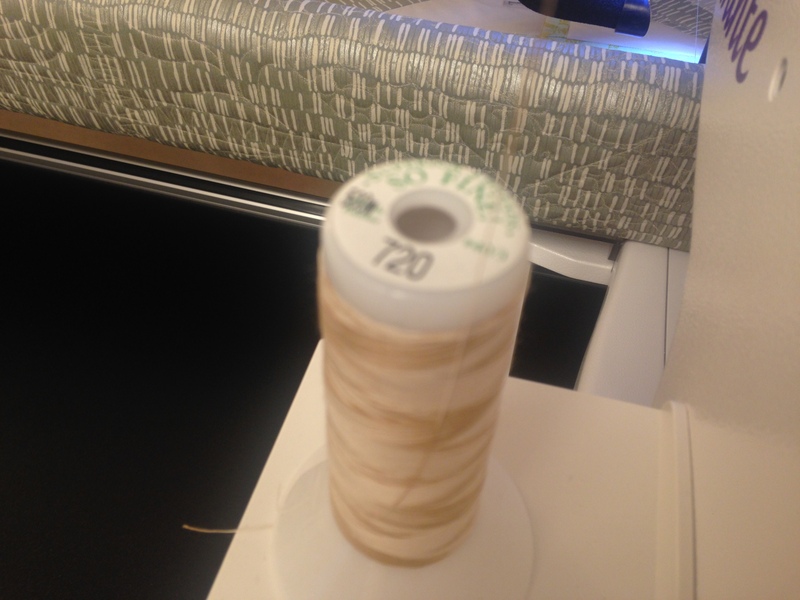 Two units of 2 1/2″ by 2 1/2″ are used for the sides as you can see in the photo above. 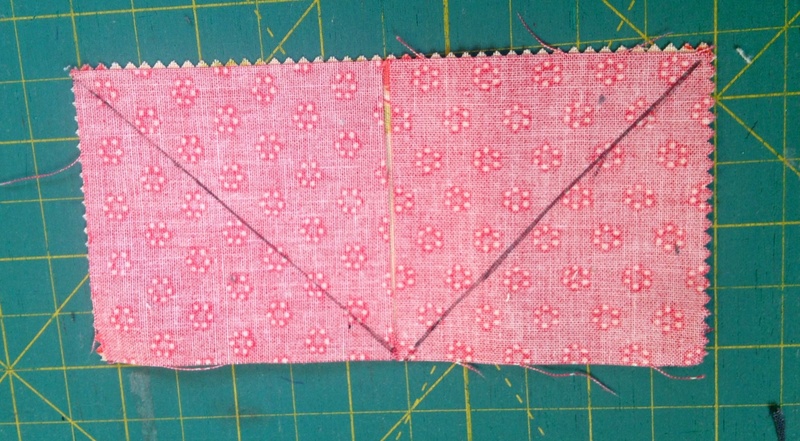 Next, you place each of the two squares on each side of the 2 1/2″ by 5″ rectangle then using a ruler draw a diagonal line to sew on. 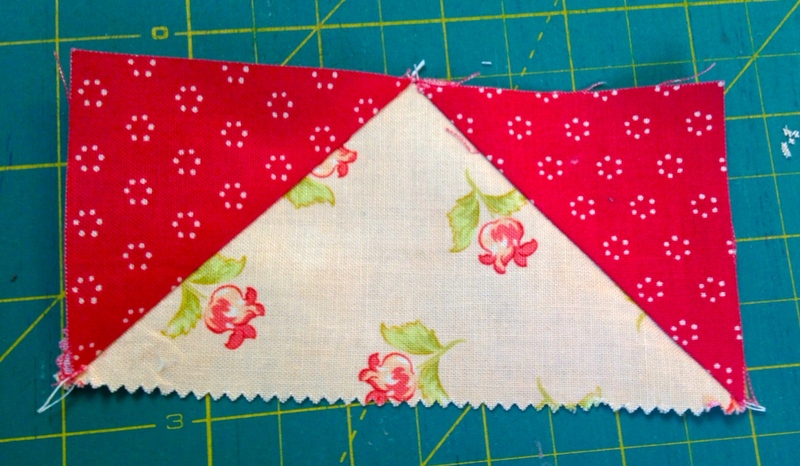 It will look like the photo above, so go ahead and sew! 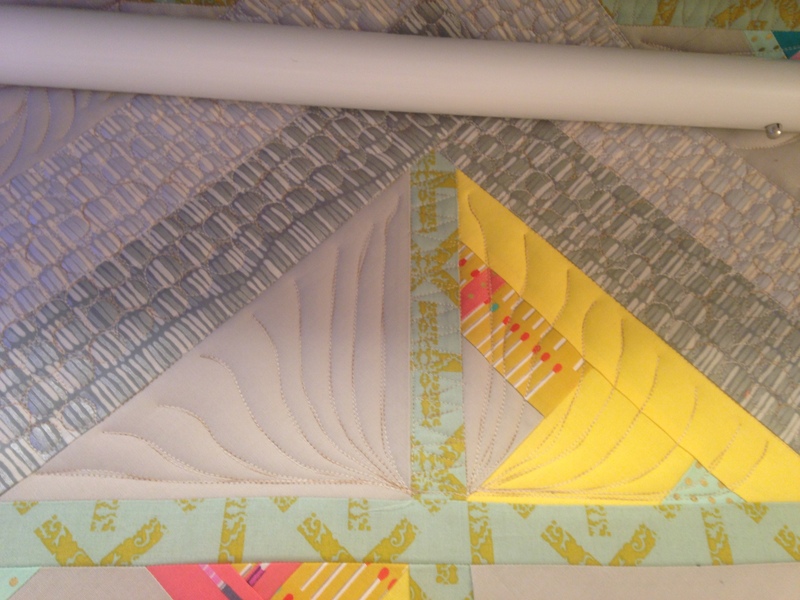 After sewing you will need to cut with your rotary cutter 1/4″ away from the sewn line, then flip the piece back and like magic you have a perfect flying geese! So, that was the basic, very few tools involved way of making geese. There are so many ways to use your geese. That will be another blog entry I will be posting. 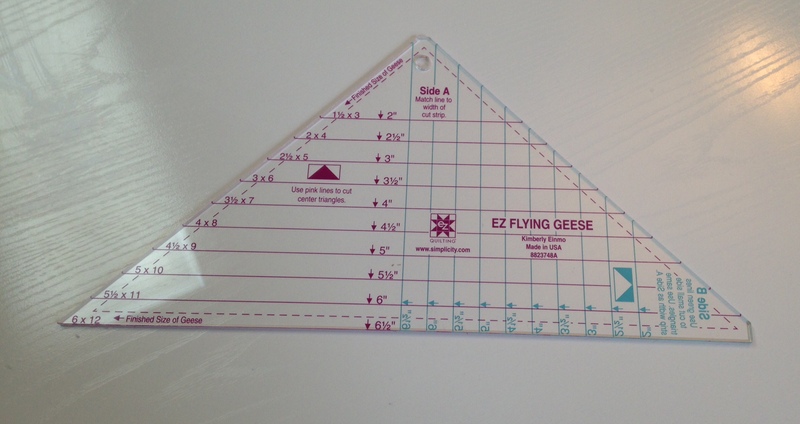 One more thing that I wanted to mention…If you prefer, Kimberly Einmo has a wonderful Flying Geese ruler that I love too!You can check it out on her website. I use both methods, just what ever suits my fancy at the time. I hope that this is clear, if you have any questions let me know, I’d be happy to answer you!